Languages other than English (commonly referred to as ‘LOTE’) are commonly chosen subjects for years 11 and 12. 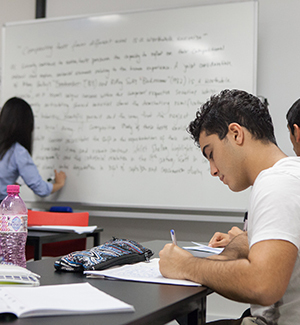 Some of the highest scaling subjects are LOTEs, such as Latin and Greek, and some LOTEs at extension or continuers levels are also extremely high scaling, therefore investing time and effort to do well in these subjects will be worthwhile to your goal of ATAR maximisation. If you want private tutoring for a language not listed above, you should still contact us as we may be able to accommodate.